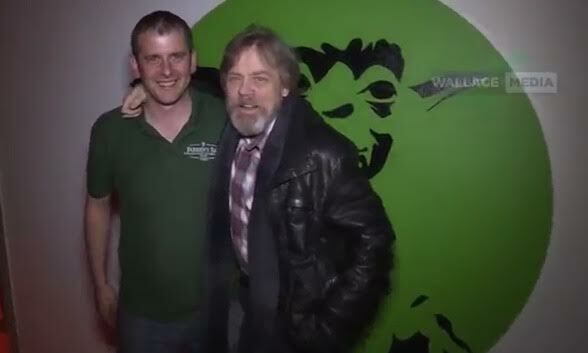 Star Wars actor Mark Hamill brought the force to a Malin Head pub last night, shaking hands with fans and gardai and announcing his “love” for the county. 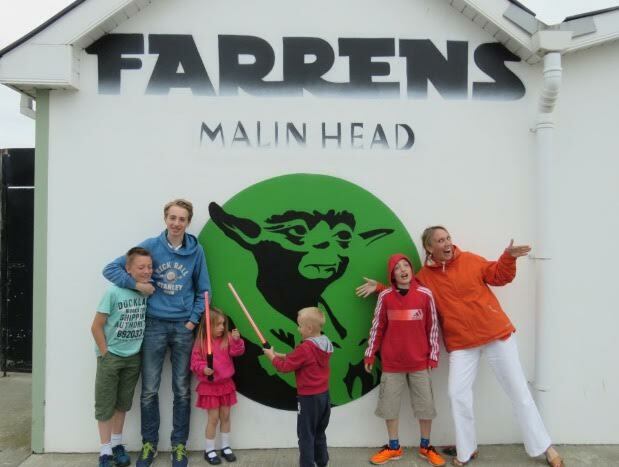 Hamill took time out from his gruelling filming schedule to stop off at Farren’s Bar to pose by the pub’s Yoda mural and spend a little time meeting local people. Donegal TV captured the moment and managed to get a few words with the star – who was in a very relaxed mood, keen to meet fans. Hamill told the TV crew how fond he was of Donegal, saying: “Love it, it’s gorgeous. 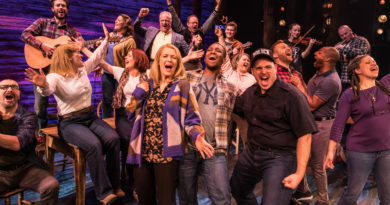 You’ve made us feel part of the family. Hamill stopped to sign autographs and then made his way off in a black people carrier back to his hotel in Redcastle, Co Donegal. A tight ring of security has been placed round Malin Head since Friday for the filming of Episode VIII – and the stars have been keeping a very low profile, packing filming in to a long weekend. Tankers of water had been ferried in to Malin Head to be used during filming – as no doubt filmmakers had expected wetter weather in Donegal but the county has been baking in the sunshine like the rest of Ireland. Dad Mike Mullins met Hamill with three of his children last night after they waited to see the star for hours.